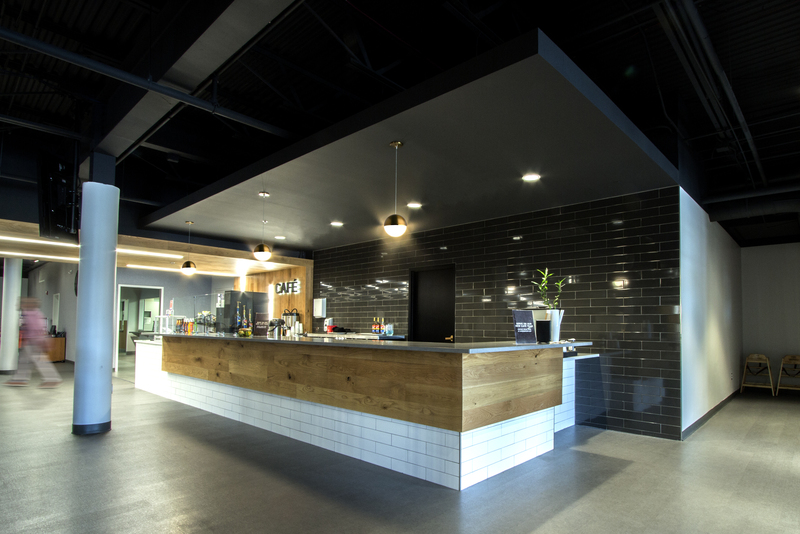 Pathfinder Church, formerly St. John Church, is a vibrant congregation in west St. Louis County that needed SPACE’s expertise to make their interiors reflect their progressive approach to worship and fellowship. 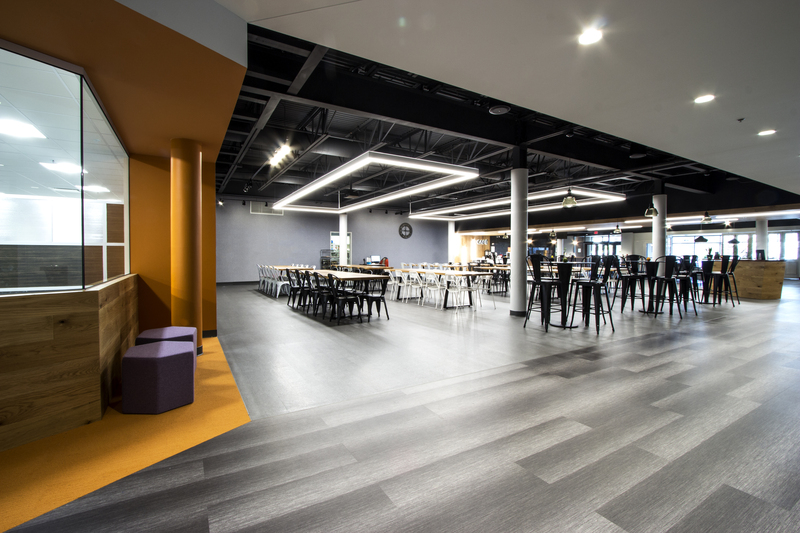 There are two primary areas of focus in our collaboration: a reimagining of the church sanctuary and a conversion of a basement hall into a hospitality focused entry including a school cafeteria, a coffee bar, a new classroom, and a security overhaul focusing on child safety. 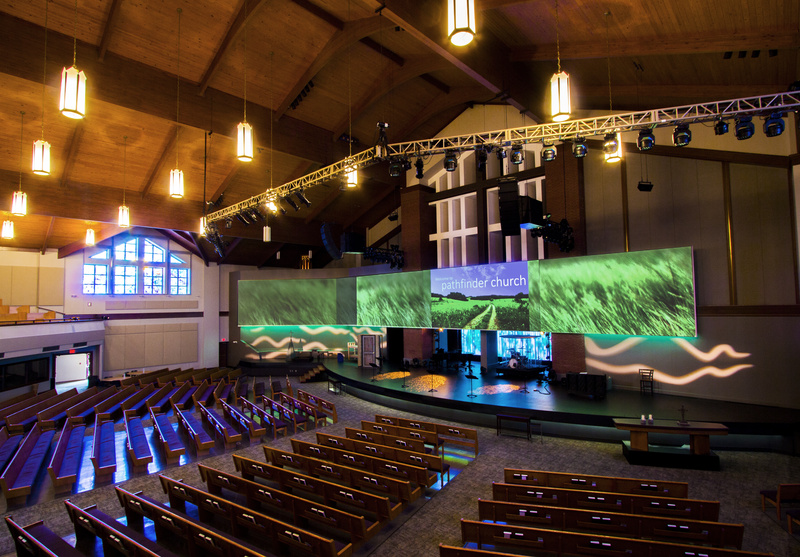 In the sanctuary, our team worked closely with the Pathfinder staff to envision a new multimedia stage that would enhance the experience of congregants in the sanctuary, but would also be conducive to filming services for the church website. After removing the sprawling red-carpeted altar and strategic areas of pews, selective interventions were key to an improved environment. 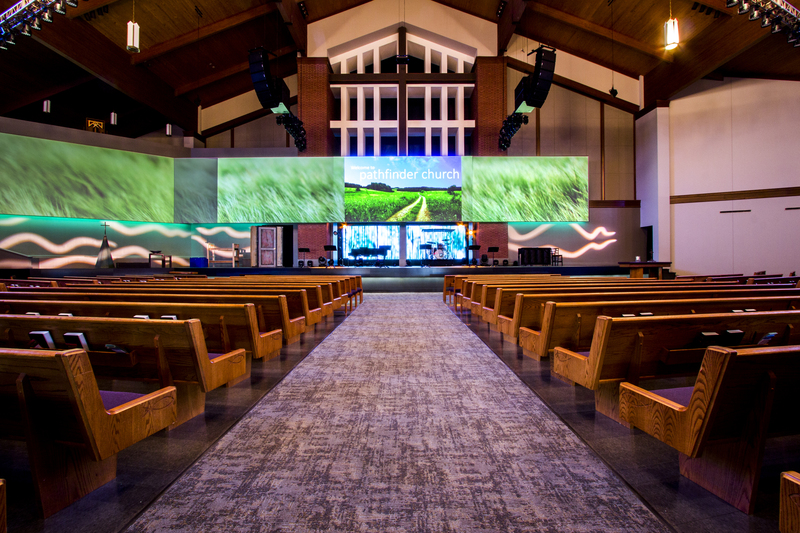 The new stage included a large presentation-band screen so the church’s AV team could project inspirational images, hymn lyrics, and other visual aids for the congregants. The expanded footprint of the stage offers plenty of flexible space for the minister, musicians, and large creative props and backdrops for children’s programming. During the renovation, a new AV system was introduced and the long-covered stained glass windows were revealed, further reflecting the energy of the congregation in the sanctuary. 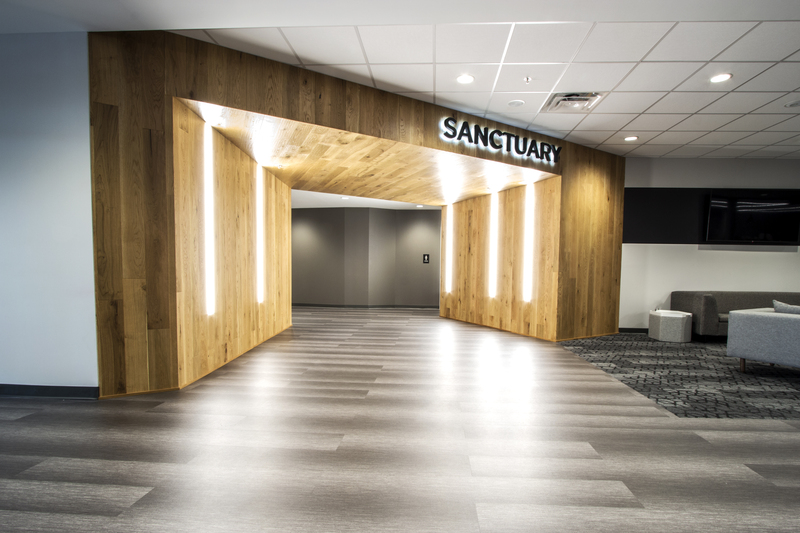 The hospitality space below the sanctuary received the most dramatic upgrade. The basement was home to the attached school’s cafeteria, Sunday school classrooms, and banquet space. For years, spaces were created with movable room partitions. Church leaders wanted to elevate the lower level to a destination that would be used throughout the week by the church’s many committees, Bible study groups, and family programs. 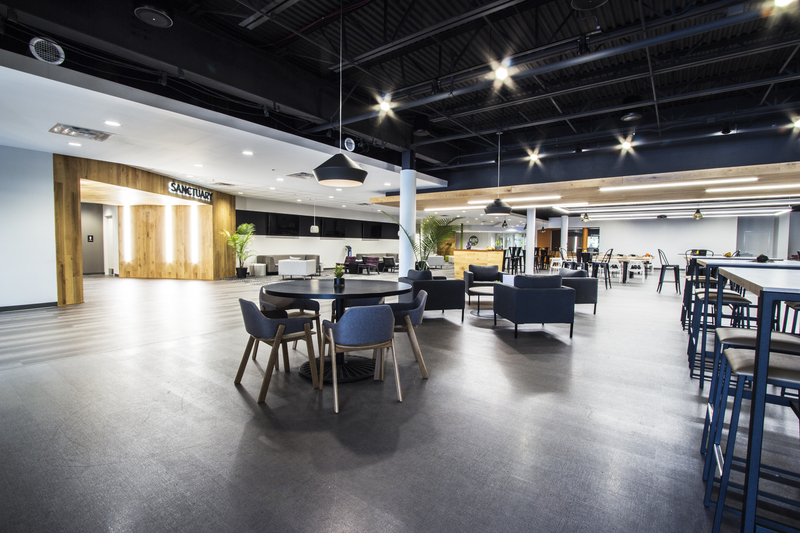 SPACE used our hospitality experience to imbue the space with a casual, contemporary atmosphere, where all of these groups would feel comfortable. A visually-permeable but secure perimeter was established around the children’s education spaces. The new open-plan design hid the cafeteria’s food line, so only the dining seating was left in the open. Now the space looks less like a cafeteria, and more like an informal gathering space. 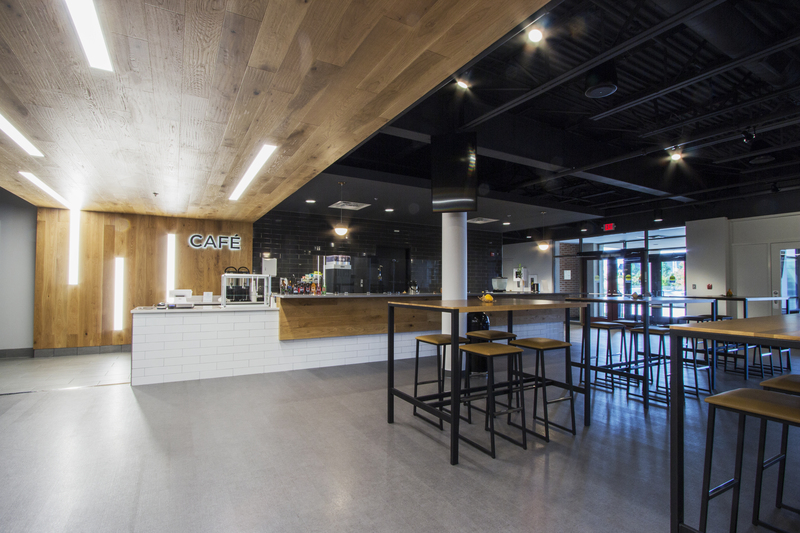 The cafeteria dining flows naturally into the new cafe that serves coffee and pastries on Sundays, and beer in the evenings throughout the week. 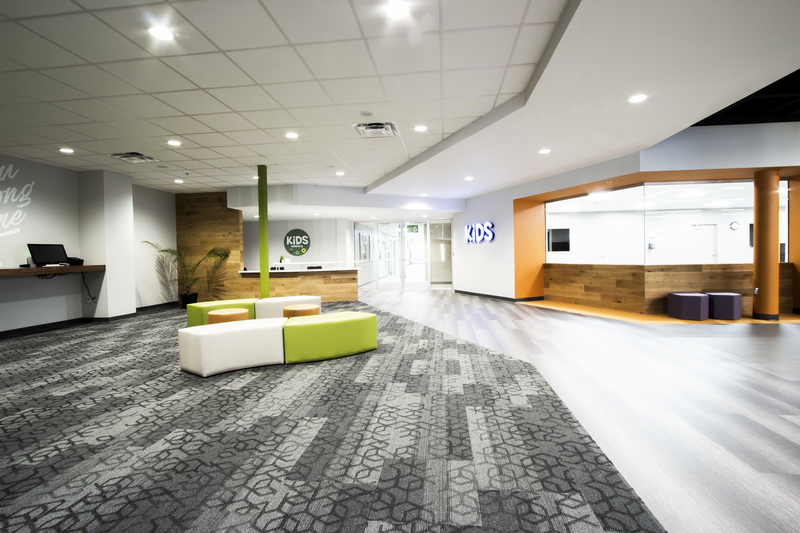 The space also features lounge seating, and a cheerful secure entry to the sunday school classrooms. A monumental white-oak wrapped portal signifies a transition from the fellowship area of the lower level to the sanctuary upstairs. The same white oak is used in the SPACE-built cafeteria tables, and this rich wood balances the modern grays in the palette. 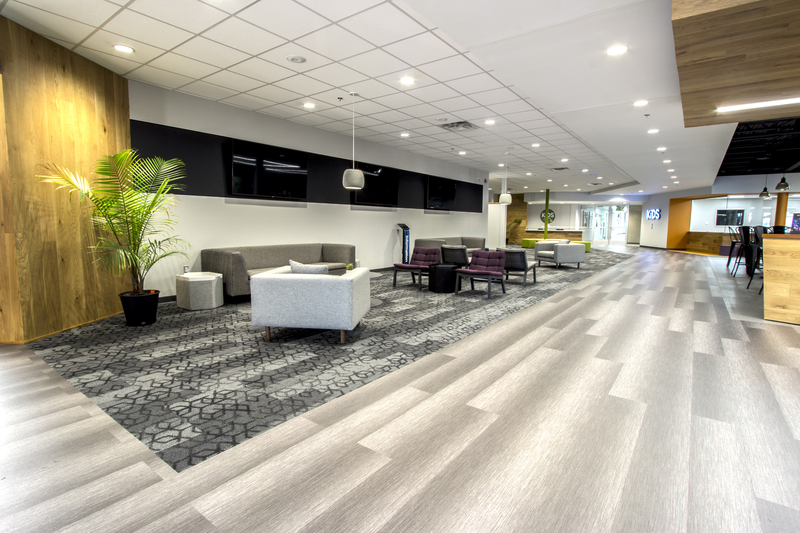 This new hospitality area creates an inviting space for congregants of all ages, while encapsulating Pathfinder’s modern approach to fellowship.